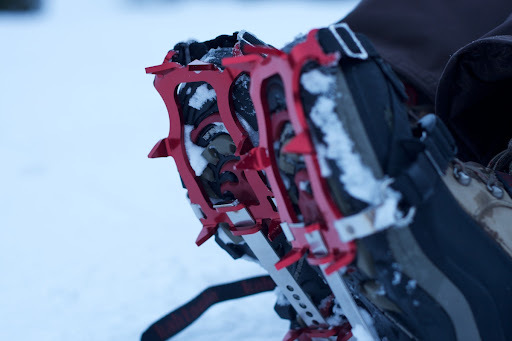 You know you live in a mountain town when you buy your wife a pair of Kahtoola KTS crampons for Valentine's Day and they are instantly proclaimed on Facebook (in all apparent honesty) to be: "my new favorite thing! "That they're anodized cherry red couldn't have hurt. RJ Review of the Kahtoola KTS.